Watch as I describe my passion for coaching and its impact. One of my earliest memories was having a birthday party when I was eight or nine years old we had the party at the Holiday Inn in Leicester, in the UK where I grew up. It was a swimming party followed by a birthday tea with cake and candles by the pool. My best friend at the time, Alistair, couldn’t swim. We knew this so we just kept an eye on him. However, at some point when the adults were distracted, Alistair slipped on the side of the pool and fell into the water. Without a moment’s hesitation, I dived in. I swam down to the bottom of the pool and got myself under his body and began to push him up towards the surface. 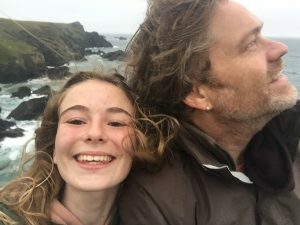 He was spluttering and coughing and he was fearful and, although I don’t believe he would have drowned, my desire to support him was my strongest instinct. I am still driven by this desire to support people who may, be in a more figurative sense, be drowning in some way. My approach to coaching no longer requires me to actually dive into the pool to save anybody – but I am absolutely committed to seeing in my clients live a healthy, happy and fulfilled life. My own journey into coaching came about from time in my life when I needed somebody to get beneath me and push me upwards towards the surface. It was about 12 years ago I hired my first coach. It was a time when I was feeling very low and lacking purpose, Now it’s hard to believe I ever felt that way. On the outside, my life looked totally sorted. I was in a management position, I managed an award-winning team and had fantastic income and benefits. I owned a comfortable house in London, had an Italian wife and a beautiful 3-year-old daughter AND I felt like I was dying inside. I had started to literally hate the idea of going into the office. It made me anxious, I started to withdraw and I was slowly losing my self-confidence. When I look back, I can see that I was very stressed and I believe I was on the verge of some kind of a breakdown. I hated what I was doing, it seemed so meaningless, and the fact I just didn’t know how to change the trajectory of my life with all that was comfortable and secure made around me, made me feel frustrated and rudderless. I knew I could live a more meaningful life, but I was too close to my problems to objectively see a way out. So I made a choice and started to work with a coach called Jane, and within a few months I had done what had seemed impossible – I had left my old job. I landed a consultancy position in a smaller organisation with even better conditions and I honestly could not believe the speed of the turnaround – just by focussing on things that were most important to me and the things that I truly valued in life. What had become even clearer to me, however, as I knew that I wanted to follow the part of me that had always been so strong – I wanted to see others thrive – I wanted to do for others what Jane had done for me – It was so loud and clear, there was no way I was going to ignore it . I started to devour books on psychology, self-development and spirituality (a habit I have never lost). I signed up for every coach training programme I could find (I recall getting up in the middle of the night to do one programme which was based in another time zone). I hired another coach from New Zealand (She had been recommended as the best around and I clearly never let location be a limiting factor) and I started to change the way I looked at life. I felt alive and life was juicy again – I know now that I had found my purpose in life and in the arch of just a few years. I became a certified Master Coach. With accreditations from three different professional coaching bodies and I was also training new coaches around the world. I resigned from my consultancy position and set as an international coach, which is what I continue to do to this day. As I write this I am sitting by the pool in our rented house in Costa Rica, I am taking my annual month’s summer break with my wife. I can hear the ocean in the background while being distracted by the hummingbirds, iguanas, exotic coloured squirrels and the primeval grunt of the troupe of howler monkeys that lives nearby. I have a practice full of clients who inspire me with their visions and I am absolutely committed to seeing them create the things that may seem impossible in their own lives at the outset. 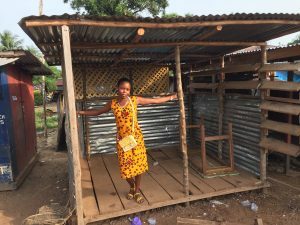 In addition to coaching, I am running an education project in West Africa where we are building a school with a rural community in Liberia and I have been sponsoring a young woman called Mekie there who has just graduated high school and is embarking on her university career to become a medical doctor. Things that I believe will make a difference in people’s lives long after I have gone. One of my special projects is to offer the opportunity for my clients to work with leaders in Liberia as part of a leadership coaching intensive I run out there. 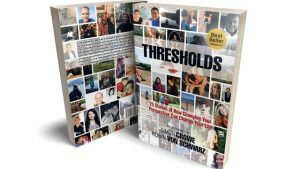 This year I have co-authored a bestselling book called “Thresholds”. The book is about people stepping beyond their limitations and I am frequently asked to speak live and on podcasts as a specialist on purpose as a powerful change agent in people’s lives. I share these things not to impress or as a benchmark of what can be achieved – (in fact I encourage my clients to create far more amazing and meaningful lives than mine). It serves as testimony to my belief in this process and I could never have imagined that I would be actually living this life when I was sitting in my office looking across the rainy carpark at my motorbike longing for the end of the day when I could get on it and escape. The thing that has made the greatest difference to me has been my commitment to self-mastery (and mastering my chosen profession), being clear on my values, having a powerful purpose, believing in something greater than myself, placing these at the heart of everything I do, and being courageous enough to take risks and embrace the unknown. I also continue to seek the support of some of the greatest coaches in the world – because by changing my mindset, my life changes and so can yours. I now support others in creating extraordinary lives. I have felt the pain and frustration of being trapped in a life that you have outgrown and have also embraced the freedom that lies beyond our innermost fears and belief systems that no longer serve. 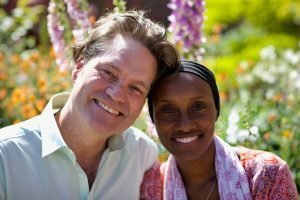 I am highly adept at assisting others to uncover their purpose and to make the choices that create the freedom to live extraordinary lives, and I do what I do with deep love and passion. Would you like to connect by phone so we can identify the next step in your personal hero’s journey?